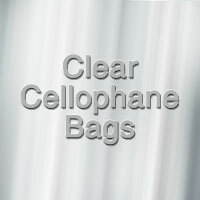 Clear Doorknob Go Bags 12x18 with Gusset Bottom are great for deliveries, larger items, literature, brochures & more. Stuff with Tissue Paper, Shred and ties with a bow for extra special presentation. For 25 or more packs of 100 pk. cellophane bags, cello rolls or Doorknob Go Bags, email for wholesale pricing info@mygirlfriendshouse.com. Clear Doorknob Go Bag 12x18 with Gusset Bottom. Have something you want to show off? Our clear doorknob bags are perfect for just that! A great way to deliver product as well as literature. Each package has 100 bags.